Idle Hands: Toy Fair 2019: McFarlane Does the Magic Dance with David Bowie! 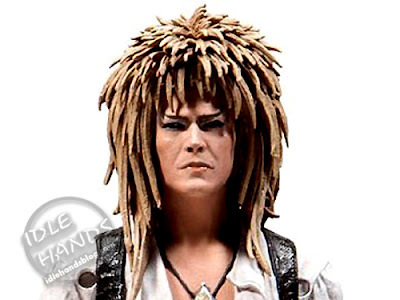 Toy Fair 2019: McFarlane Does the Magic Dance with David Bowie! SECOND TIMES A CHARM!!! McFarlane blessed us all with an action figure of Jareth the Goblin King (aka David Bowie with awesome hair) from the movie Labyrinth as one of their very first figures as they celebrated their return to the 7 inch action figure arts. 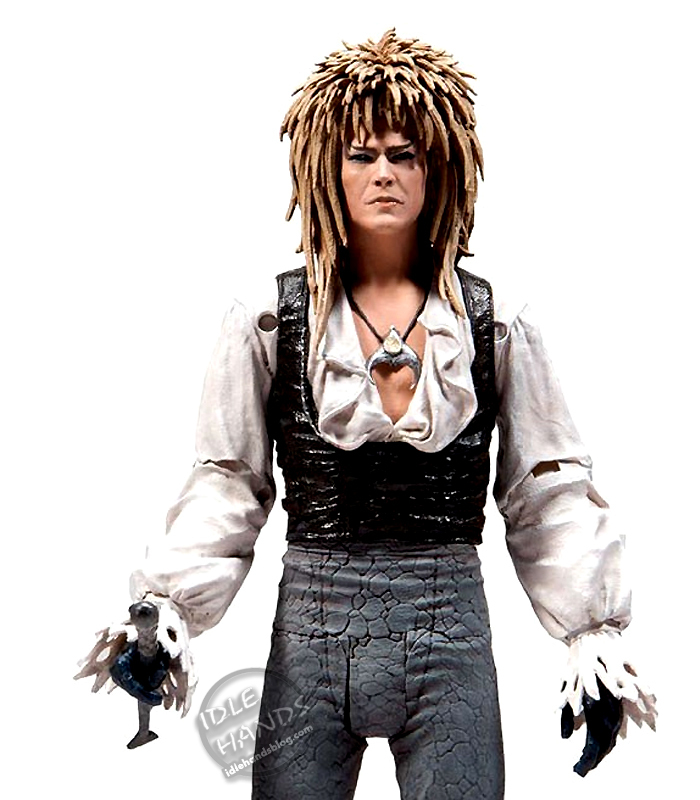 Now we get to do the magic dance once more as McFarlane announces a FULLY POSABLE Jareth in an outfit made for boogieing with wee beasties. Directed by visionary Jim Henson and executive produced by George Lucas, Labyrinth , has garnered a cult popularity since 1986 and is still revered in today's era as a timeless classic. Stuck babysitting her brother, teenager Sarah, resentfully wishes The Goblin King (memorably portrayed by David Bowie) can take him away. When her wish comes true, Sarah must head into the Labyrinth herself to save him. A mystical figure possessing powers of transformation, Jareth, is the Goblin King of the Labyrinth. This Detailed 7-inch scale collectible Jareth action figure depicted in his outfit from the iconic "Magic Dance" musical number includes movie accurate riding crop and miniature goblin accessories! 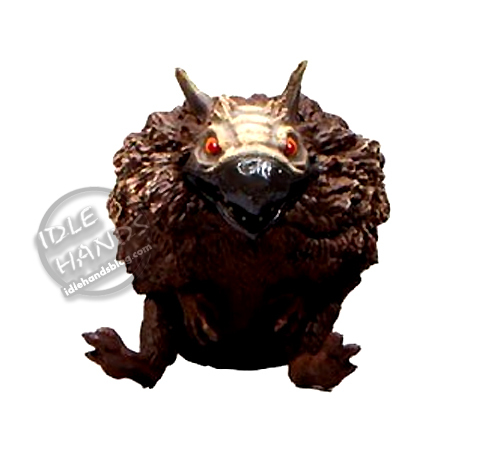 Designed with 12+ points of articulation for dynamic posing, the figure is showcased in Labyrinth themed window box packaging. I love you. 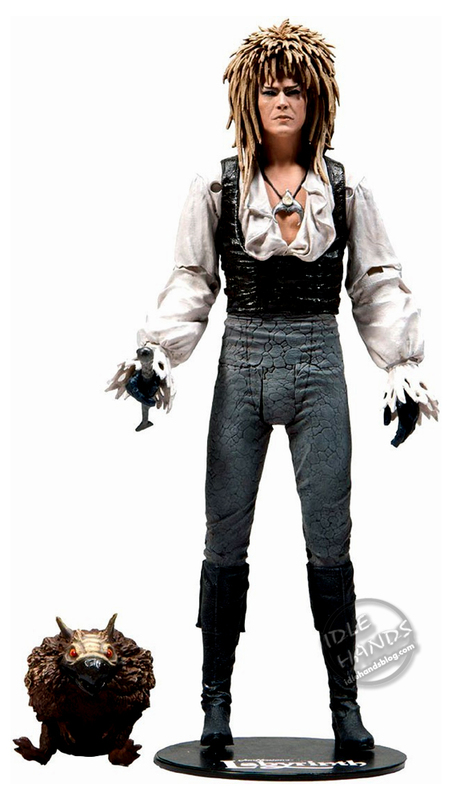 Please make all the David Bowies for ever and ever, and all the characters from Labyrinth. I will give you all lots of hugs this weekend. Don't call the cops on me.